When the sun sets over the Pacific Ocean, the Santa Monica Bay is filled with orange and gold rays of light, the mountains become shadows against the sky, and the Pier is illuminated by the Ferris Wheel and souvenir shops. The best place to view this is from Palisades Park, which is walking distance from the Santa Monica Pier, the Third Street Promenade, restaurants and entertainment. 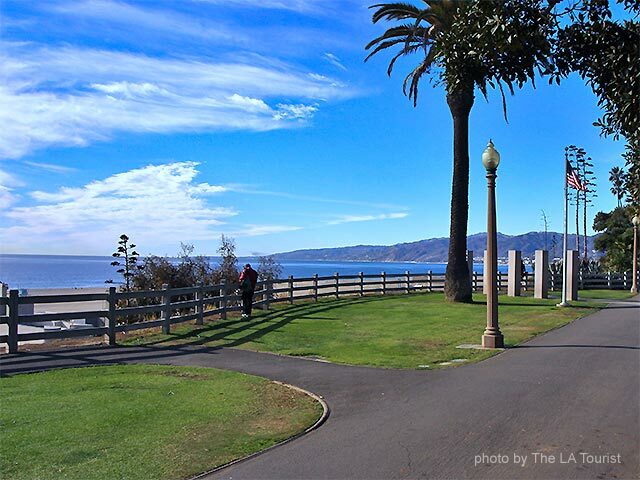 To find Palisades Park, go to Ocean Avenue near Wilshire Boulevard in Santa Monica.